This family run boutique offers a "Home from home" feel with individually styled guestrooms and two dining options. It is located by the old Castle Moat, just a 5 minute walk from Hereford Cathedral. Our members can enjoy a 1, 2 or 3 night stay in a choice of suites, with daily breakfast and a two course dinner each night. Castle House Hotel is just a five minute walk from Hereford’s magnificent Cathedral, on the banks of the River Wye. 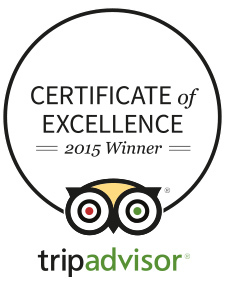 The Wye Valley is a designated Area of Outstanding Natural Beauty and rightly so. One of the most unspoiled parts of the UK, there are lush valleys, and quaint villages, and plenty for walkers, cyclists and history buffs. The Brecon Beacons are also under an hour's drive away - this beautiful mountain range in South Wales is amongst the most stunning in the UK, with a diversity of countryside, including valleys, waterfalls, caves and wildlife. 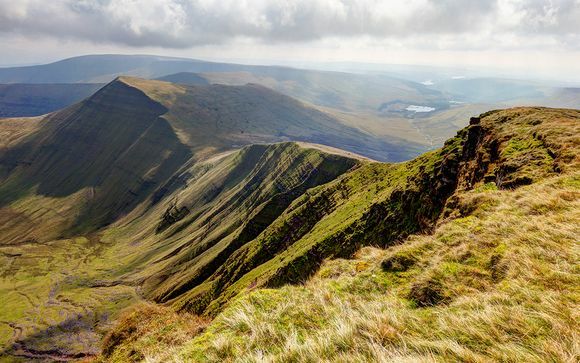 The Brecon Beacons National Park also offers a range of excellent outdoor activities which include hill walking, climbing, gorge-walking, caving, horse-riding and mountain biking. A city centre hotels that feel like a country retreat, this family-owned, boutique hotel was named one of the "Top Ten Hotels for 2016" by Fiona Duncan (Daily Telegraph Hotel Critic). It sits quietly beside the old castle moat and offers a comfortable and peaceful escape. 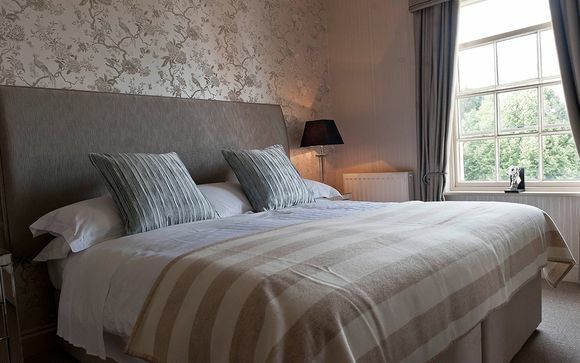 The 24 guest rooms are each individually designed with some in the main house and some in the Townhouse 30 seconds away, for a feeling of privacy and a "home from home" atmosphere. This is a great place for foodies - the 2 AA Rosette restaurant sources much of its ingredients from the surrounding area and from the hotel owner's own farm. In the warmer weather, drinks, afternoon tea or lunches can be enjoyed out on the terrace, overlooking the River Wye. 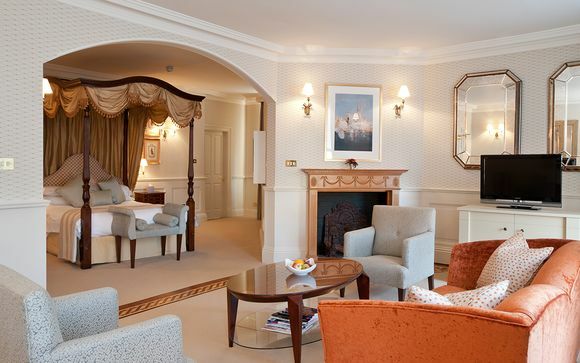 This offer is based on a Junior Suite or a Castle Suite. Junior Suites are spacious with a seating area, large double beds (some of which can be converted to twin beds) and over bath showers. Amenities include free wifi, a flat-screen TV and tea and coffee making facilities. These are the most spacious rooms in the hotel, and have a seating area and super king sized bed, with a separate shower and bath in most cases. Whether you choose a la carte dishes from the Castle Restaurant, or a relaxed light lunch in the Ballingham Bar and Bistro, you are sure to be imrpressed by the delicious food on offer. The seasonally changing menus are focused on local ingredients such as the famous Herefordshire beef and beetroot cured salmon. Hereford Railway Station is less than a 5 minute drive away, and there are usually plenty of taxis waiting outside the station. If you are driving, please park outside the front of the hotel and staff can assist you with luggage and parking.